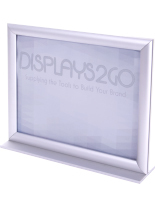 This double-sided frameless sign is two sided for graphics sized 8.5" x 11". 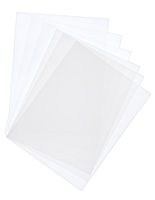 This clear acrylic lens is viewed in horizontal orientation with nothing to distract visually from the display image or message. 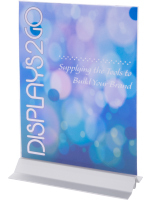 This double-sided frameless sign that is an acrylic stand with tape on the bottom for a fixed presentation. 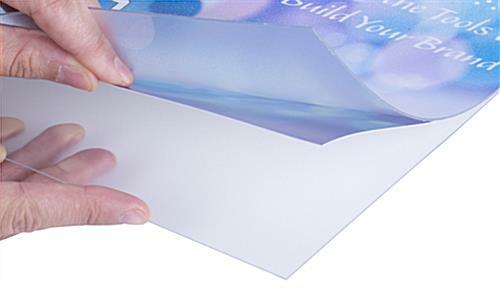 Replacing graphics is easy, just detach the plastic sleeve, and insert a fresh image into the stand. 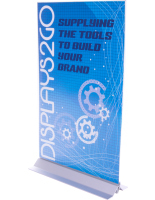 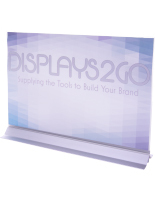 The frameles design of this display puts emphasis on the messaging or print. 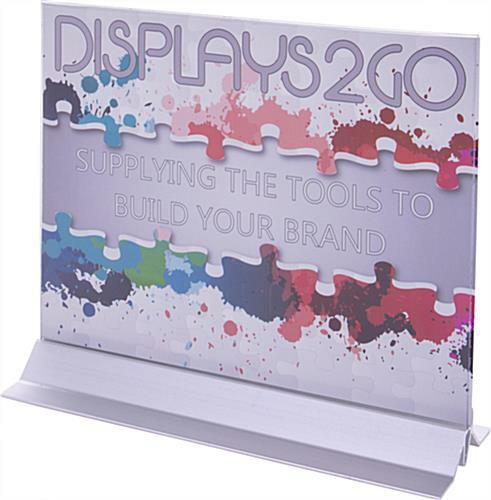 This acrylic stand affixes to a counter or desk and features a horizontal view. 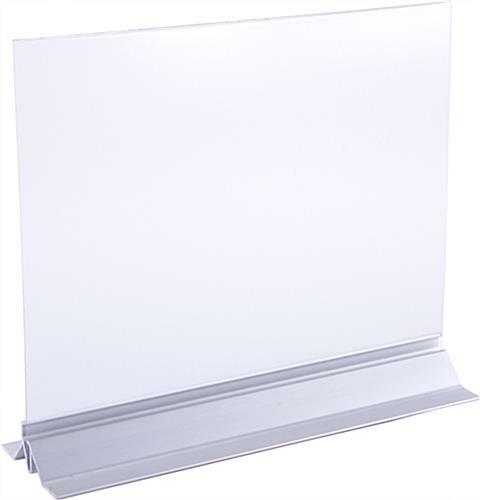 The aluminum bottom is 3" wide and takes up only a tiny footprint. 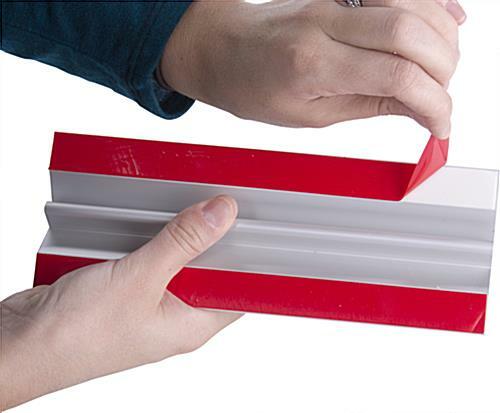 11.0" x 9.5" x 1.5"
11.0" x 1.3" x 3.0"